How’s your filing system? Frustrating? Do you find that it’s too hard to remember where things go? Do you ever have trouble finding a specific document again once you’ve stashed it away? You may even have three or four files that contain the same information but are labeled differently – what a mess! What causes the downfall of a filing system? Chances are it wasn’t much of a “system” to begin with. More likely, it was just a random assortment of individual files that really had no connection to each other. 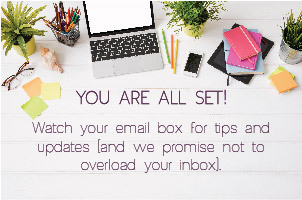 Look at your current filing system (or that pile of paper that you’ve been meaning to file for months) and start sorting your documents into broad categories. “Finances” might be one; “house stuff” could be another. At this point, we’re not focusing on the detail of your filing system. Quite frankly it doesn’t matter if it’s a credit card bill or a bank statement right now. We’ll worry about those distinctions later on. Be specific; don’t just say that they are “bank statements”. Determine which account they belong to and break each out into a separate pile. We don’t want any files “bunking” with other files – everyone gets his or her own separate folder. 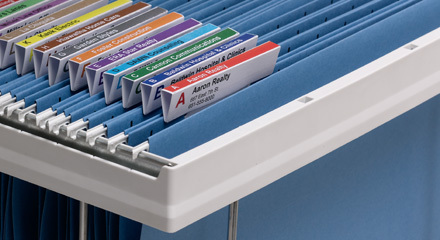 Each major category of paperwork should be assigned a different color (your choice) – and then we’re going to put each of its subcategories into an individual hanging file folder. In the example above, “finances” might be green, and each of your accounts gets a separate green file folder. It seems like a small thing, but color-coding your system will save you a huge amount of time in filing and retrieving papers. 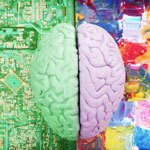 Being able to look in your file drawer and see distinct bodies of information broken out by color just makes SENSE to your brain. When you know that your financial section is green, your house section is blue and your car papers are in red, you don’t even have to think because your hand just naturally goes to the right part of your file drawer. Now that everyone has their own colored folder, we need to label each file. When creating your labels, move from general to specific. Don’t tell me you are filing paperwork for your “Visa credit card” – call it “credit card: Visa”. 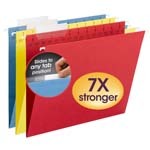 When you arrange your folders alphabetically, all of the “credit card” files (no matter how many you have) – will be together in your “finances” section. Our goal is to keep related files in close proximity to each other. Do this again and again for every grouping of files until you have labeled every file in each major category. I personally use the Viewables® labels because they are neat, easy to read and I can print them from my computer. All you have to do now is put the files within each major category in alphabetical order, and then put the major categories themselves into the drawer in alphabetical order. 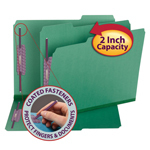 Place the colored folders in hanging box bottom folders to keep them upright in the drawer. The 2/5 cut tabs show above the hanging files, and the tabs are in a straight line for easy reading. Whenever you need to find a document or put something in a folder, just look first for the correct major category (easily identified by both the labels and the color). 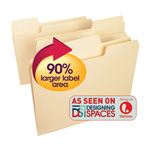 With the right filing system it’s easy to put your hands on the correct file without a lot of searching. 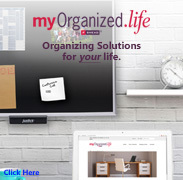 Watch or Listen about How to Set Up an Effective Filing System on the "Keeping You Organized" Podcast.